Assembled by the American College of Sports Medicine and the Anthem Foundation, the index rankings "reflect a composite of preventive health behaviors, levels of chronic disease conditions, as well as community resources and policies that support physical activity." WASHINGTON — The D.C. area might just have its collective beach body ready for Memorial Day weekend. 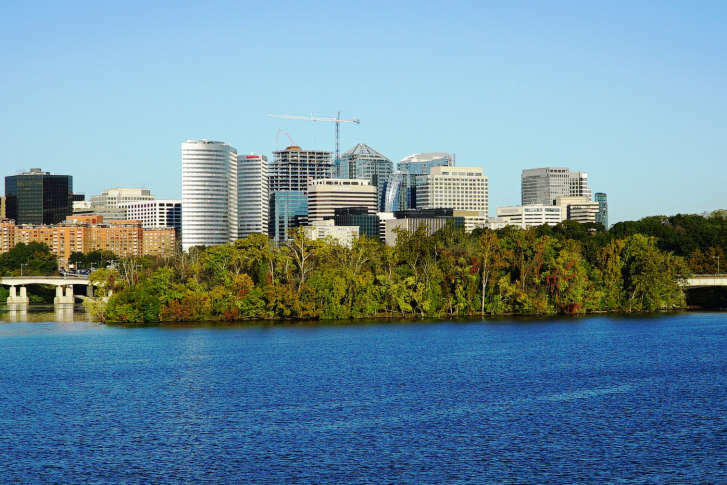 Both Arlington, Virginia, and D.C. ranked well (Nos. 1 and 3, respectively) in this year’s annual American Fitness Index, which is assembled by the American College of Sports Medicine and the Anthem Foundation. “Both [Arlington and D.C.] have very high community indicators that relate to having land and also a number of opportunities for walking and bicycling to get to work and using public transportation,” said Barbara Ainsworth, who chairs the fitness index board. Arlington residents were found to have the lowest smoking rate and “the highest reports of very good or excellent health,” the ACSM said Tuesday. Minneapolis won the No. 2 spot. Last year, it won the crown with its twin city, St. Paul, Minnesota. But the index’s referees have since split the two. St. Paul, as a result, is ranked No. 8 this year among the 100 cites ranked. Others in the top 10 include Madison, Wisconsin (No. 4); Portland, Oregon (No. 5); Seattle (No. 6); Denver (No. 7); San Jose, California (No. 9); and Boise, Idaho (No. 10). The bottom five were Toledo, Ohio; Detroit; Louisville, Kentucky; Indianapolis; and Oklahoma City (Nos. 96—100, respectively). It’s a retooled ranking this year: Previous indexes “measured evidence-based indicators” for only 50 metropolitan areas. 77.5 percent of adults in all cites were physically active in the previous month. The average smoking rate was 15 percent. 35 percent reported their mental health was not good in the last month. And what the heck does D.C. have to do to claim the top spot? Concentrate on personal health behaviors, Ainsworth told WTOP’s Shawn Anderson and Hillary Howard — and start with the obesity rate. “Along with dietary changes, exercise is one of the best ways people can turn this around,” Ainsworth said.